Amherst (Mass.) 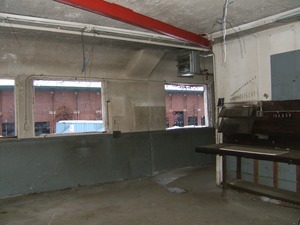 - From a series of photographs labeled "Muhamed Quabbin Kenmore Sq." Amherst (Mass.) 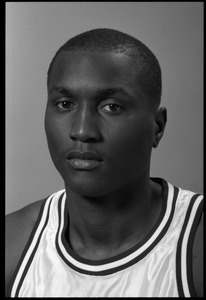 - From a series of head shots of the 1994-1995 UMass Amherst basketball team. Amherst (Mass.) 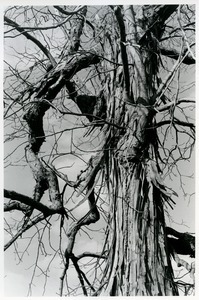 - Detail of the trunk of a shagbark hickory with peeling bark and crooked branches. Amherst (Mass.) 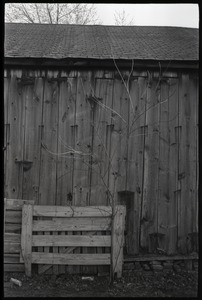 - From a series of photographs taken for the Massachusetts Historical Commission to document the Brooks Barn Complex (3) at UMass Amherst -- including the Cow Barn, Grinnell Arena, and milkers' bungalow -- in preparation for demolition. Amherst (Mass.) 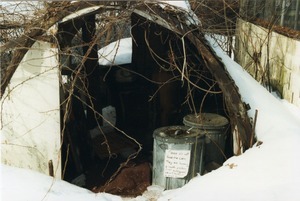 - Note the trash bin in the foreground has a sign reading "Please do not feed the cats. They are becoming a health problem in our building. We will be forced the trap them." Amherst (Mass.) 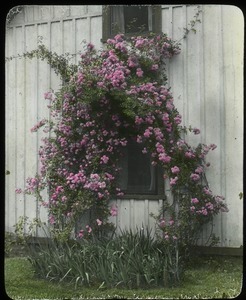 - Hand-colored image of climbing rose on the side of a house. Amherst (Mass.) 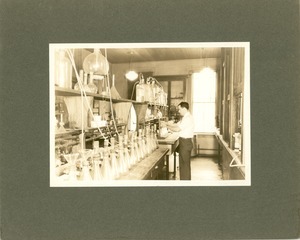 - Scientist working at an lab bench with an array of beaker and flasks, West Experiment Station, Room 12; probably work on soil chemistry. Amherst (Mass.) 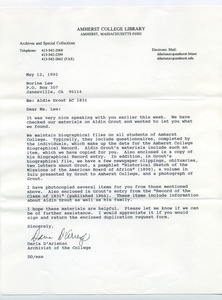 - Letter enclosing copies of biographical information on Aldin Grout from the Amherst College Archives. Amherst (Mass.) 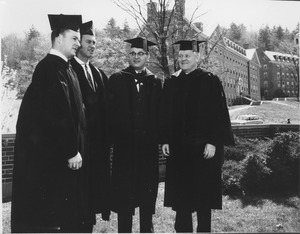 - (Left to right) Honoree Gordon Oakes (student body president of 1963), Governor Endicott Peabody, President John W. Lederle, and Bishop Christopher J. Weldon (Springfield Diocese) outside Totman Gymnasium in academic regalia during the Centennial Charter Day convocation.